Meadville, PA – June 27, 2016 – Prism Plastics, Inc. of Chesterfield, MI has acquired Tech Molded Plastics of Meadville, PA.
Family owned and operated in Northwestern Pennsylvania for nearly 43 years, Tech Molded Plastics makes small precision parts for automotive, aerospace and electronics end-markets. It utilizes 36 injection presses from 33 to 440 tons of clamping force at its Meadville facility. Tech also operates a full-service mold building operation focused on high-cavitation complex production molds for various industries. Prism specializes in critical use, precision components and supplies primarily the automotive end-market, along with industrial and medical. Prism operates three facilities: Chesterfield, MI, Port Huron, MI and Harlingen, TX. The company’s 35 presses range from 65 to 390 tons. 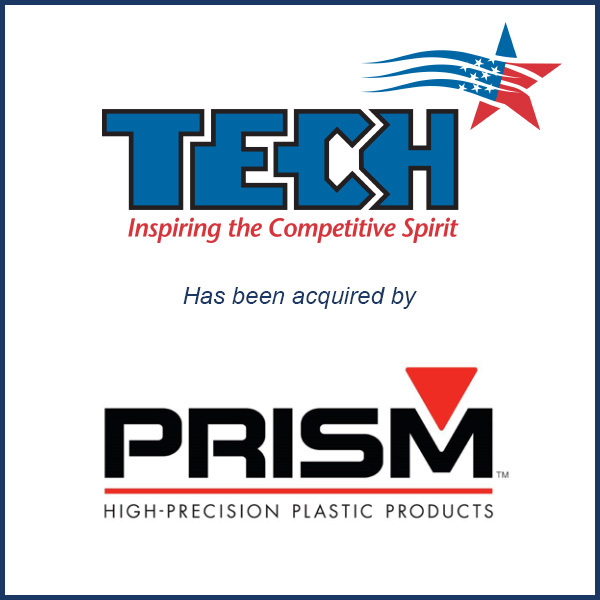 Prism Plastics was acquired by Altus Capital Partners in April 2014. Executives from both companies were struck by their common corporate cultures. “It seemed too good to be true at first, and the more we dated, the more we found the value in the relationship,” Hanaway said. Tech Molded Plastics was Plastics News Processor of the Year in 2013. Prism was a runner-up for the 2014 award, and won the PN Excellence Award that year for customer relations. Molding Business Services of Florence, MA served as the exclusive financial advisor to Tech Molded Plastics. To read the article published in Plastics News, click here.